On 24 September 1916 the residents of Billericay and Great Burstead, Essex bore witness to the dramatic end of a German Zeppelin raider that crashed in flames on the fields of Snail's Hall Farm killing all aboard- including the vessel's commander , Werner Peterson. Now this century -old event is re-visited by Ray Rimell in a brand new 24 page book to be published this September marking the centenary. 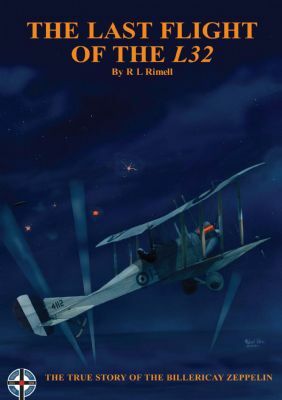 The author's detailed account has been based on eyewitness statements and with access to official records and family papers from the family of Freddie Sowrey who shot down L32 on that momentous night 100 years ago.With over 50 illustrations ,including a Ronny Bar colour profile of BE2c 4112, scale drawings by Mick Davis of the night-fighting BE2c version and detailed sketches of the Strange gun mounting, Ray's book covers the story of L32 in unprecedented detail. Limited to 1000 copies, all individually signed and numbered by the writer, limited numbers of advance publication copies are now available right here. The improved and much enlarged six-engined R class Zeppelins introduced in the Summer of 1916 form the subjects of our eagerly-awaited second Zeppelin volume.LAST EVER COPIES-LIMITED AVAILABILITY! 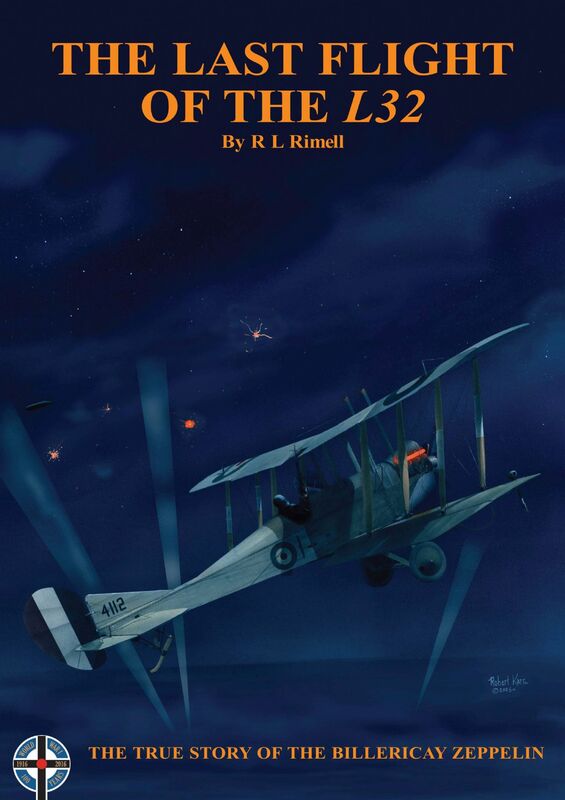 The true story of the Potters Bar Zeppelin is told by Ray Rimell in this special Centenary edition. With rare illustrations and a fulsome biography of Heinrich Mathy.